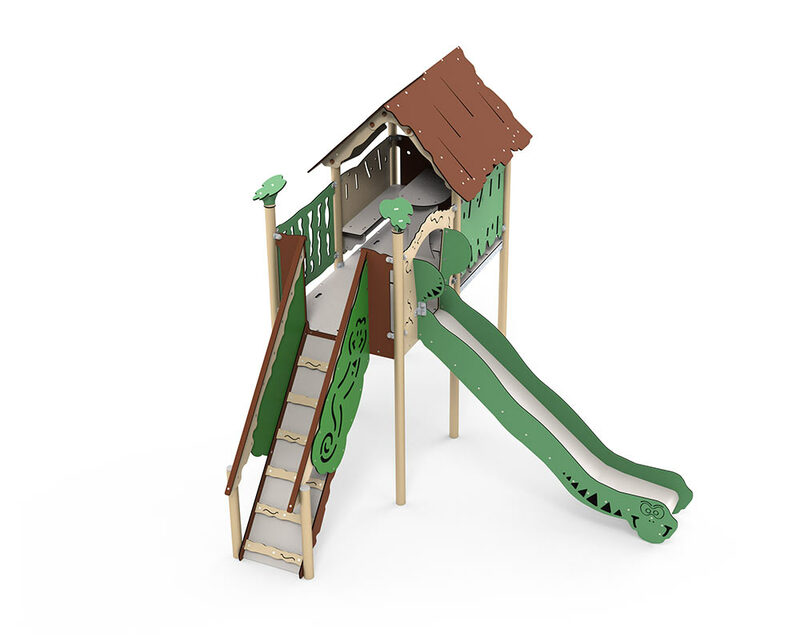 Mayan is one of the Explore models which has a built-in playhouse on the upper level. With a floor height of 140 cm, children enjoy good views across the playground. When the playhouse is included as part of the play system, it opens up a wealth of play options. The playhouse can be used for looking out across the playground, and with the built-in table and benches, it is also a good place to enjoy a packed lunch or to play shop. The slide is always a playground favourite, because it’s fun and exciting, and helps to stimulate the children’s development. When children go on the slide, they train both their gross motor skills and their balance. At the same time, they learn about gravity and judging distance and speed.